Total nonfarm payroll employment increased by 151,000 in August, below Wall Street expectations of 180,000. The consensus estimate was for the national unemployment rate to drop to 4.8% in August, though it remained unchanged at 4.9%. Wall Street had been expecting a number as low as 150,000 (JP Morgan) and as high as 225,000 (Societe Generale). The number of employed Americans rose 97,000 to 151,614,000 in August, while the number of unemployed rose 79,000 to 7,849,000. The labor force participation rate and employment-population ratio numbers both remained unchanged, while the number of Americans not in the work force rose by 58,000 to 94,391,000. The unemployment rates for both adult men and adult women now sit at 4.5%, while the unemployment rate for teenagers increased slightly by 0.1% to 15.7%. Wall Street was mixed as to what August's numbers mean for the possibility of a near-term interest rate hike. Goldman Sachs, for instance, believes that the numbers were "just enough" to persuade members of the FOMC to vote for a September rate hike. Others firms, such as Moody's Analytics, believe that today's numbers reduced the odds of a September hike from 30% to 20%. 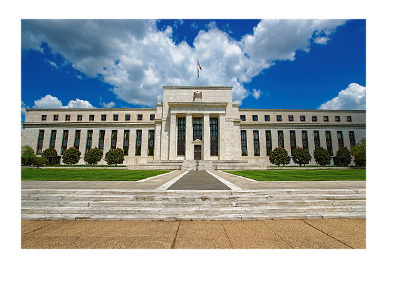 One thing that practically all Wall Street firms agree on, however, is that the Federal Reserve will hike rates at least once before the end of the year.